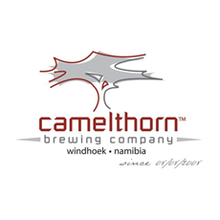 Camelthorn is at present Namibias one and only microbrewery. They do act and sell a lot in Western Cape though so you do not have to travel to Windhoek to get the beers. Rumor says that they are going bottle some of there beers in Stellenbosch (340 ml longneck bottles) so they will certainly be available in Cape Town in the future as well. They will start to export all there beers to Sweden soon so if you are in Scandinavia you could find them there as well.